After the end of Euro-American hegemony and the return of the multi-centric world, Eurocentrism in philosophy and the social sciences has come under attack. However, no real alternative has been proposed. This provides an opportunity to reassess the philosophy of the social sciences that has been developed in the West. 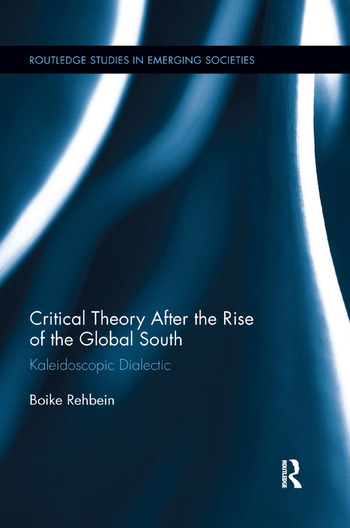 This book argues that the re-emergence of a multi-centric world allows the Euro-centric social sciences in general, and critical theory in particular, to finally disengage from countless paradoxes and impasses by which they have heretofore been hindered. The author presents a solution in the form of the "kaleidoscopic dialectic." This dialectic is unique in that it is able to overcome the precarious dichotomy between universalism and relativism by relying on an original approach to the philosophy of science. With this approach, the focus is on the configurations embedded in the ethics of understanding, accommodation and learning and on their connections to broader social scientific critique. This book demands that the European social sciences make philosophical and methodological adaptations to the new realities of the social world by becoming more reflexive and, by extension, less Euro-centric. Introduction: The Reconfiguration of the World Part I: Euro-centric Theory 1. Explanation 2. Understanding 3. Dialectic Part II: Kaleidoscopic Dialectic 4. Configurations 5. Global Hermeneutics 6. Dialectical Critique. Outlook. Boike Rehbein is Full Professor of Society and Transformation in Asia and Africa at Humboldt-Universität, Berlin, Germany.